NOTE: This is a Maya issue that can happen with any renderer, including mental ray. 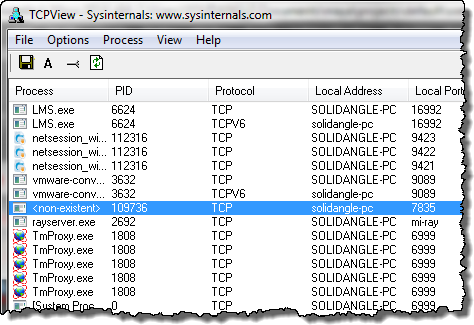 // Error: line 1: Socket error creating command port SOLIDANGLE-PC:7835 (10048). C:\Program Files\Autodesk\Maya2014\bin>netstat -ano | find "7835"
But unfortunately, there didn’t seem to be any process with that PID, so I couldn’t kill it to free up the port. 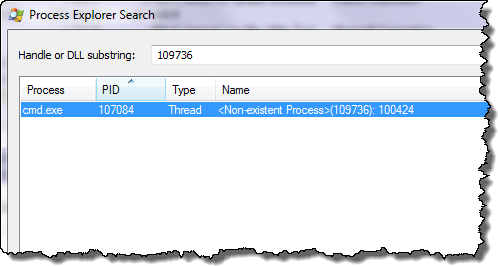 tasklist | find “109736” came up empty; there was no such PID in the Task Manager or Process Explorer; and TCP View said that PID was non-existent. I was resigned to having to reboot my machine until I saw this. Then I used Process Explorer to find the process that was referencing the “non-existent” PID, and when I killed that process, I could batch render again from Maya. This entry was posted in Arnold, Maya, MTOA and tagged Arnold, Batch Rendering, Maya by xsisupport. Bookmark the permalink.